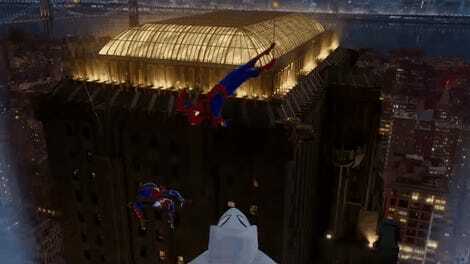 The Spider-Verse has some furry new heroes! io9 is delighted to exclusively confirm that Build-a-Bear Workshop is bringing a new line of bears and accessories to its stuffed-best-friend-creation range based on Sony’s rapidly incoming Spider-Man: Into the Spider-Verse. 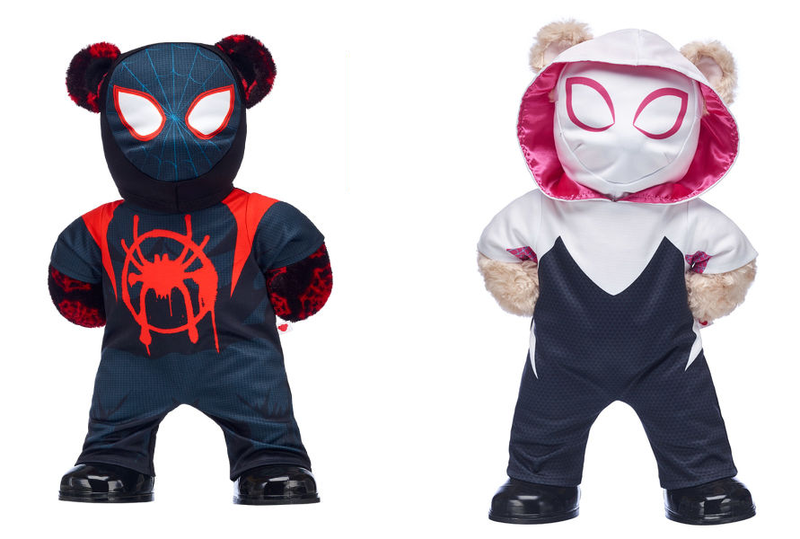 As well as a bear covered in Spider-Verse branding, you’ll also be able to dress up your stuffed toys in everything from movie-themed hoodies to costumes inspired by both Miles Morales and Gwen Stacy’s appearances in the film. And, good news, if you wanted to bring a furry friend to the cinema to see the movie, you can actually get them starting from today. The Miles Morales bear—entirely clad in black and red webs, and with a picture of Miles in costume as Spider-Man from the film printed on its paw—will be available both as a standalone bear ($28, before tax) and as part of a gift set that bundles in both Miles’ spider-suit as a costume and a 6-in-one sound chip featuring lines from the film ($58.50). The costume and chip will also be available separately (for $16 and $7, respectively), if you wanted to dress them on a different bear. The same will be the case for the Gwen Stacy costume—available either in a set with one of Build-a-Bear’s Happy Hugs Teddy (for $40), or on its own to outfit on another stuffed toy ($16). 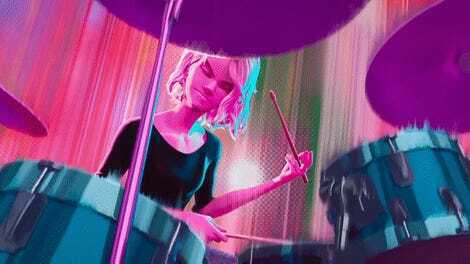 Like the Miles costume, the Spider-Gwen set features a removable mask section, should you want to keep your bear’s face visible. And if you’re looking for something a little less costume-y, Build-a-Bear will also offer some Spider-Verse themed clothes for bears to kit themselves out with, including a hoodie featuring art of Miles from the film ($10), and, if any of your stuffed pals need a friend, there’s also a pre-stuffed Peter Porker—better known as the Spectacular Spider-Ham!—available for just $10. 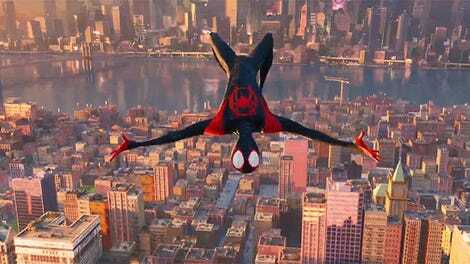 You can check out and order Build-a-Bear’s Into the Spider-Verse range here. Just remember: with great power, comes great responsabearity.